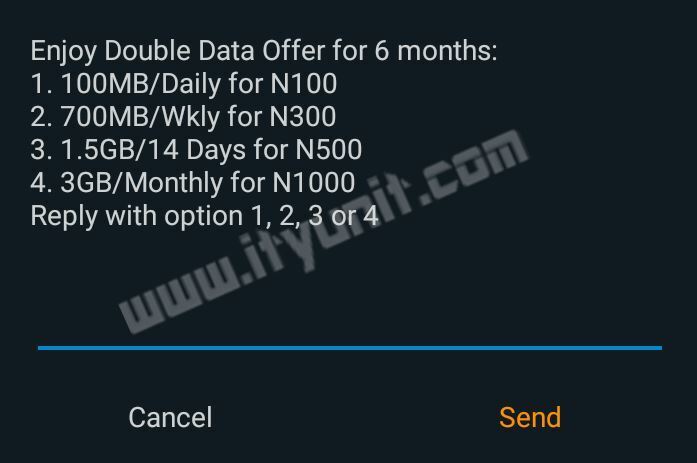 Airtel has just announced a new 150% data bonus to run alongside the previous Airtel 100% data bonus from June 2017. This new bonus data plan runs on Airtel’s Android data plans and is applicable to both prepaid and postpaid users. When you activate the normal Android data bundle of 750MB for N500 with the Airtel Data Bonus code, the 150% bonus credits you with extra 1035MB making it a total of 1.8GB of bonus data for 2 weeks. 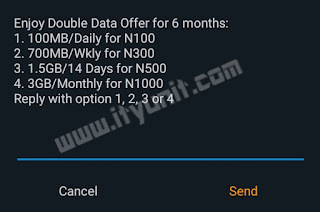 Other offer in the Airtel Bonus data bundle include; 500MB for N200 and 3.75GB for N1000 instead of 1.5GB. The catch however is the normal Airtel SIM eligibility issues. 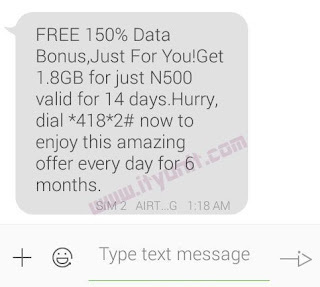 To be sure that you are qualified for this offer, you will have to get this SMS notification from Airtel as shown in the screenshot below. If your SIM is eligible, all your subsequent subscription to any Airtel Android Plans will get the extra bonuses for the next 6 months. The fastest way to be eligible for all Airtel bonuses is just to keep using their data services and at least rollover a data subscription. That is, do not allow a subscription to expire, once it is about a week to expire, make a new subscription. Your existing data will be merged with the new data allowance and the date of validity will be extended. Once you do that for any plan up to N5000 worth of data, your SIM will be activated for all future Airtel bonuses. To Subscribe, simply recharge your Airtel SIM with N500 and dial the USSD code *418*2# to activate 1.8GB Airtel 150% Data Bonus for N500. The Bonus Data is valid for 2 weeks. Dial *140# to check your Airtel Bonus data balance. 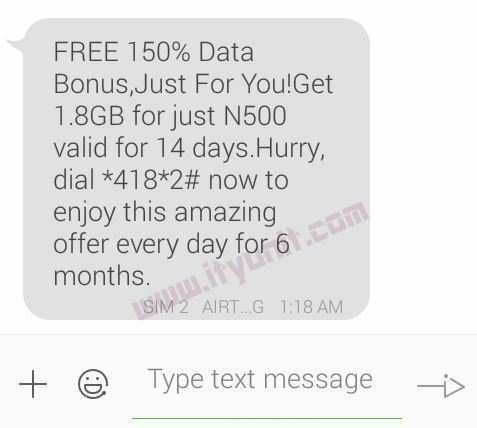 If you have not received any bonus SMS from Airtel it means your SIM is not eligible, don’t worry, the Airtel 100% Bonus offer is still running. Just dial *144# on your Airtel SIM to know if you are qualify for the Airtel 100% Bonus data offer. All the Airtel 150% and 100% bonus offers works on the Android data bundle, so the deduction of the megabytes is normal, no double charging. AIRTEL and their bonus that's unusable. *144# gives me a stupid reply despite been told I'm eligible. How I wish this offer is still on. I'm tired of other networks sub and week internet service. Airtel is one of my favorite. Which is the and cheapest data bundles on Airtel now?